The fifth annual McGraw-Hill Future Workforce Survey, representing over 1,000 college students, looks at their confidence, motivation, influences, and job prospects as they prepare for their future careers. 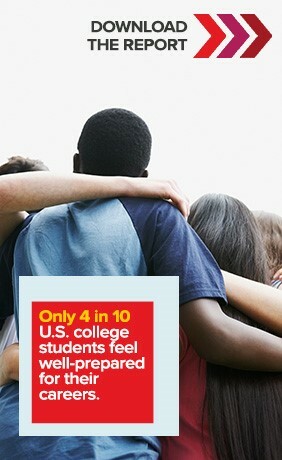 College preparedness: Find out which aspects of college life students feel prepared or unprepared for. Career preparedness: Perceptions of preparedness vary widely across gender and other student groups. Workforce skills and resources: Largely, students don’t feel they’ve gained critical career skills and are seeking additional help. Jobs and employer perceptions: Undergrads are confident about landing a job but a big gap remains between student and employer perception of preparedness.